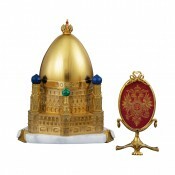 The Imperial City of Moscow, favoured by the Fabergé Dynasty and St. Basil's Cathedral, were the inspirations for Theo Fabergé to design the Moscow Egg. 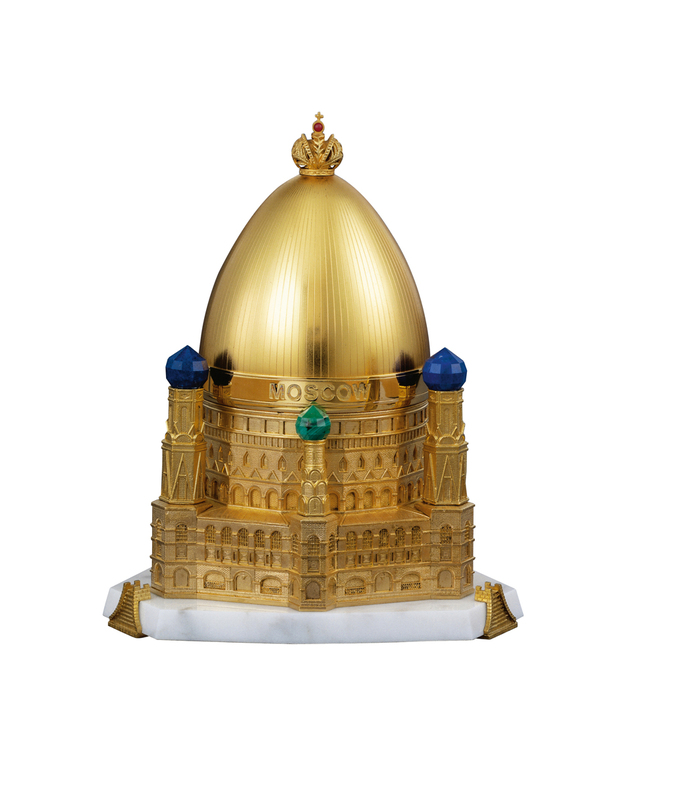 The fine gold and sterling silver Egg reflects the architecture of the Cathedral in the winter months, with the intricate towers and cupolas. 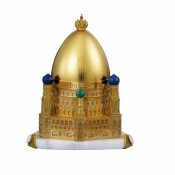 The cupolas are hand carved and faceted from lapis, rose quartz, tiger's eye and malachite. 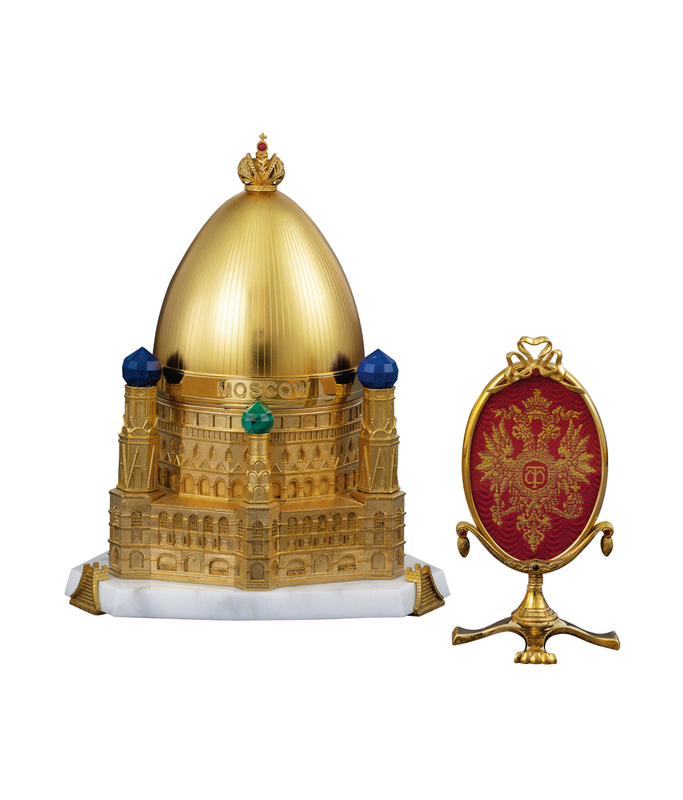 On opening the Egg, the surprise, a vermeil stand bearing the Imperial Russian Eagles, woven in gold and silk, offset with faceted rubies. Materials: Gold and sterling silver, lapis, rose quartz, tiger's eye and malachite.